This project was created in partnership with Alice Duranti and Li Jiang for a brief proposed by Origin Housing to MA Communication Design at Central Saint Martins in 2016. Origin Housing are a housing association based in Camden, and they identified that older residents in Somers Town are at risk of suffering from loneliness and isolation. We were asked to design an accessible solution that fosters a sense of community and increases interactions and communication between neighbours. 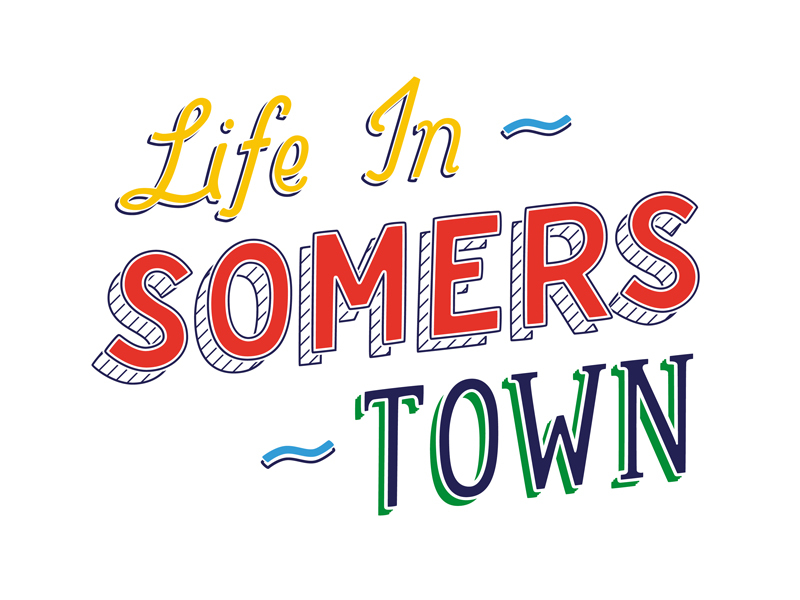 Life in Somers Town is a community postcard project that creates a space for conversation amongst neighbours, a self-sustained project that can be ‘owned’ by the community. The identity was informed by the history of the area, and draws upon traditional sign painting and lettering that was once common around Somers Town.